Do you recognise this woman? Mystery surrounds the identity of a woman whose body was found severely decomposed. A national appeal has now been made to find the identity of the woman whose inquest was held yesterday, Tuesday June 19. Described to be middle aged, with shoulder-length reddish brown hair, the inquest could not ascertain who she was or how she came about her death. The woman’s body was recovered by Coastguard and Lifeboat teams after being seen at the shore near the fourth Seven Sister in Sussex on July 4, 2017. It was severely decomposed and may have been in the sea or on the beach for days, the Hastings inquest heard. She had suffered injuries consistent with a fall from a great height and police say her death is not being treated as suspicious. Coroner’s officer Jon Padovani said at 12.48pm that day he received a report that a female had washed up from the sea. In a statement to the court he said her finger prints, DNA, and a dental examination had been taken but it is still not known who she was. A forensic artist has produced an image of how she looked when she was alive, in the hope someone will recognise her from this. 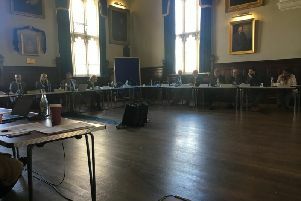 The court at Muriel Matters House also heard from DS Todd Stewart of Eastbourne Investigation branch, who inspected the body the day it was found. He said, “The body was severely degraded. It’s impossible for me to state when she entered the water. He added that the woman had no visible tattoos and she had been wearing red nail varnish on her toes. According to police, she is believed to have been aged between 25-55 years-old, and been of medium build, and white European ethnicity. Coroner Alan Craze explained inquests have to take place within six months or a year of someone’s death and said if further evidence comes to light a new inquest should be held. Mr Craze recorded an open conclusion. If you recognise the woman contact police on 101 or the Missing Persons Bureau.